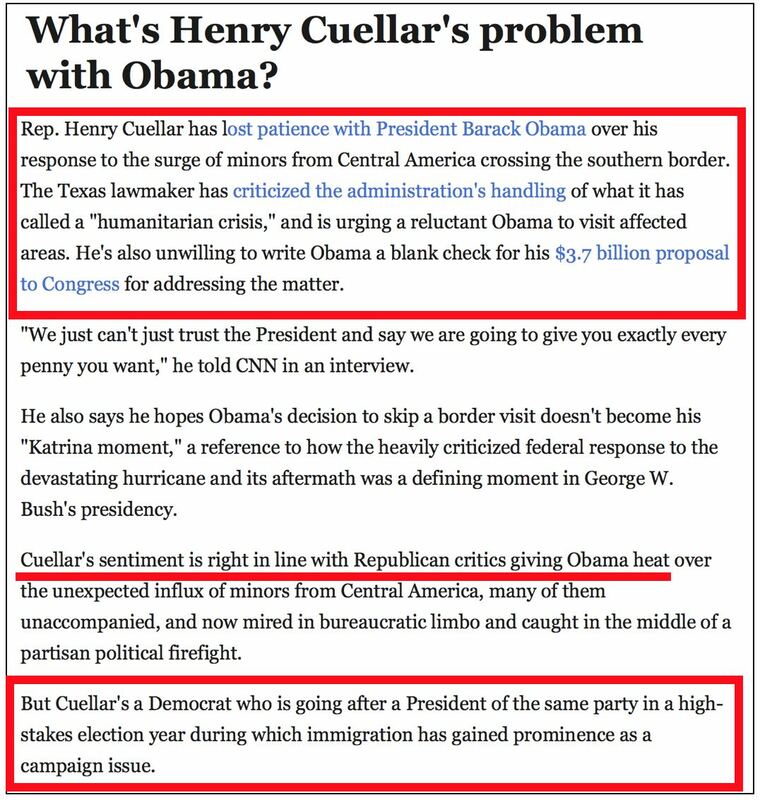 Appearing to take the show's host by surprise, Henry Cuellar, a Democrat in Texas's congressional delegation contended Saturday on CNN that in 2014, the conditions at detention centers holding unaccompanied and separated illegal-immigrant children were "kept quiet under the Obama Administration." That's probably correct, but it should also be noted that enough info had leaked out that that the press, if it had been genuinely interested, could have investigated matters further, and clearly didn't. CNN reporter Halimah Abdullah's clear message: How dare you criticize the President of your own party? This mindset starkly contrasts with the heroic treatment Republican critics of President Donald Trump have received since his inauguration. Do you see any parallels here, how different it is what we’re seeing today from these images? HENRY CUELLAR: In many ways, I think I was — I don’t know what image you’re using, but I released some of those photos (in 2014) because it was kept quiet under the Obama Administration. There were large numbers of people coming in. 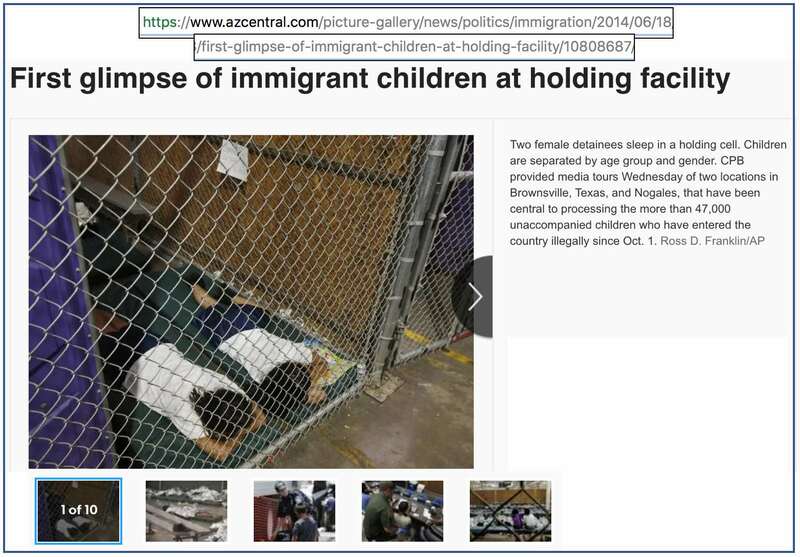 The Obama Administration was trying to keep this quiet, and I don’t know which image you’re using, but I released some photos that I had gone about those young kids kept there. And we are still seeing the numbers. And keep in mind, when they talk about putting some of the young kids in those centers, not all of them are being separated. Some of them are coming alone, as Ed said a few minutes ago. Some of them are coming on their own. So it’s not a matter that every single child that we have in those centers are being separated, because some of them are coming alone. Keep in mind that under the law, you can separate a child if that person, the adult, is not the real parent or the custodian, because sometimes we see situations where they’ll bring a child because they know of the policy that we have over here with children, or at least what we used to have. Or if there’s a criminal offense and, but they’re using this zero tolerance to separate, and that’s an area that I think we need to look at. Whitfield's expression during Cuellar's answer appeared to betray concern that she wasn't getting the answer she expected. Cuellar clearly doesn't believe that the press adequately followed up on what he attempted to expose in 2014. Also note that the photo in question in the graphic is from the Associated Press. If the AP even did an exposé for national distribution on detention center conditions, it didn't generate a lot of interest elsewhere. Based on Cuellar's contention, it would appear that the "first glimpse" seen above was one of a very if any more additional glimpses the Obama administration allowed — and the press was apparently not interested in pushing to see more.